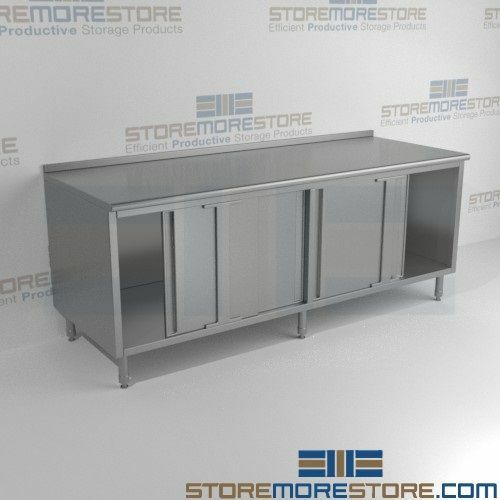 These stainless steel base cabinets provide enhanced durability and usability due to their high-grade materials and high standards. Its unique design features translate to a flexible storage solution that will last for years. The stainless steel construction makes it an ideal solution for restaurant kitchens, labs, hospitals, electronics assembly, and more due to their ease of sanitation and cleanliness. The heavy-duty material will also withstand rust and corrosion from harsh chemicals. For more flexibility, you can also bank the stainless steel base cabinets together to create extended counter space. Additionally, the storage below allows for more space in a smaller footprint and lets employees access items quickly. The stainless steel shelves and legs are both adjustable. 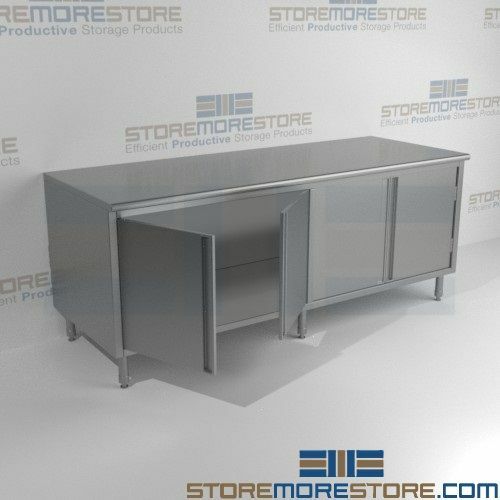 Stainless steel base cabinets are available to buy online and ship within 10-15 business days. Free dock-to-dock shipping included. If you need any assistance or just want some help picking the right solution for you, please call us at 1-855-786-7667.